If you are travelling, be it for leisure or business, your routine will be slightly different from what you normally face on a daily basis. Some things might be affected and different from what you’re used to. For instance, getting enough sleep, having a proper balanced meal and stealing some time to workout. It is quite challenging to have all these while you are away on vacation (or work trips). Unfortunately, travelling sometimes could lead to detrimental effects on your health. So, how to stay healthy while travelling? Here are some simple yet very useful tips for you. You can now enjoy your trip to the fullest without neglecting your health. This is incredibly important. The long-haul flight, inevitable exposure to the sun and hectic schedules, you have to make sure that you stay hydrated all the time. Always carry a bottle of water with you and drink enough so that you will not be dehydrated. While busy exploring the new city, we tend to loose track of time. No matter how busy your day is, do not skip any meals. Pack some snacks like granola bars, dried fruits and nuts in your bag so that you can munch on something when you are out and about. For the Muslims that find it hard to get halal food in an unfamiliar place, you can always buy fresh fruits or vegetables from the local market. Avoid eating ramen or other unhealthy choices. No matter where you’re going, perform a little internet research about the place especially on the weather: - the temperature, possibility of raining and change of seasons. Prep yourself with comfortable, suitable clothing. If it is a cold country, don’t forget to bring your winter gears. Unable to enjoy your trip due to your failure of packing the right clothing is the last thing you need! Try not to miss your workout session. Put on your sportswear and hit the gym if it is available in the place you are staying. Or you can still workout in your hotel room. Save some of your favourite workout videos (for instance Tabatas and Zumba) in your phone. Sweat yourself out. You can also squeeze in some cardio with sightseeing. Walk. Pace yourself to the next destination if it is within reasonable walking distance. Use stairs instead of escalators and elevators. You’ll learn more about the area without missing your daily exercise routine. If you are on medication, take all your meds at the right time. Set alarms on your phone to remind you. Change in temperature might cause fever, headache, runny nose and cough. Do stock on some medicines, vitamins and other supplements to make you feel better. Of course when traveling to new places, you would want to try the local cuisines of the country you are in. Enjoy sampling and eating these local cuisines but do not overeat. Adopt the Japanese concept of Hara Hachi Bu i.e. to eat until you’re 80 percent full. Eat meal in smaller portions so you’ll remain energetic all day long and prevent yourself from feeling bloated or worse, experiencing an upset stomach. Excitement of visiting from one place to another should not jeopardize your sleep. Your body needs sufficient rest. Take a nap to gain your energy. Sleep for a few hours after long hours of walking before continuing with your next activity. Always have wet tissues and hand sanitizer with you. Clean your hands from time to time to avoid the spread of germs and bsanitizeracteria especially before and after meals. 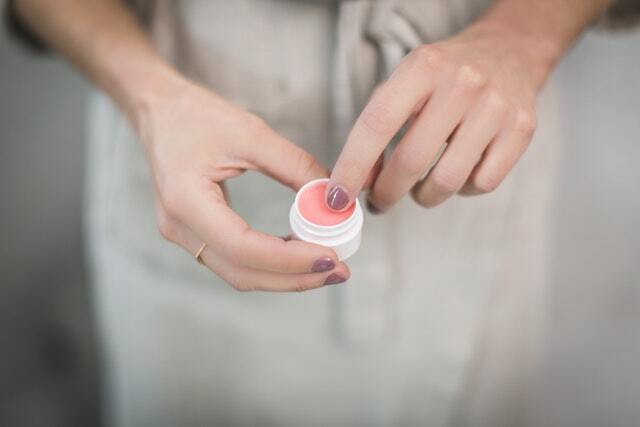 Do not forget lip balm, moisturizer and sunscreen to protect your skin. Get some insects repellent if you are going to a place with a large population of mosquitoes and insects. It is not hard to stay fit while you wander around the world. With these tips, you can now be in your best tip top condition, cherishing each and every moment away from home. Without any doubt, it will influence your entire trip. Do you have any tips to be added to the list above? Kindly share your thoughts in the comment box below.